Following the deadly results of "The Hit List Agenda," the Executive Assistants find themselves alone, scattered and unsure of their own collective fate. However, Iris now finds herself at the employ of perhaps the most sinister of all organized enterprises-the Central Intelligence Agency! 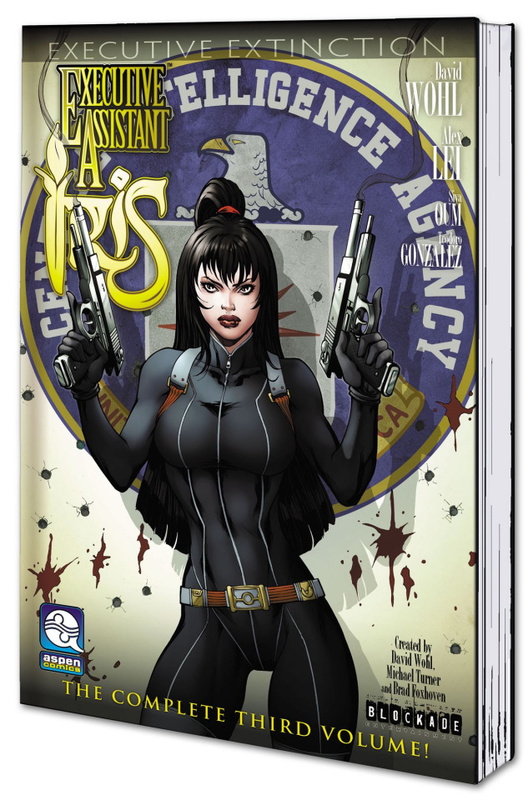 Brought to you by creator David Wohl, artist Alex Lei and colorists Siya Oum and Teodoro Gonzalanez, this thrilling third volume in the Executive Assistant: Iris series collects together the entire 'Executive Extinction' storyline and includes a complete cover gallery and a whole lot more!